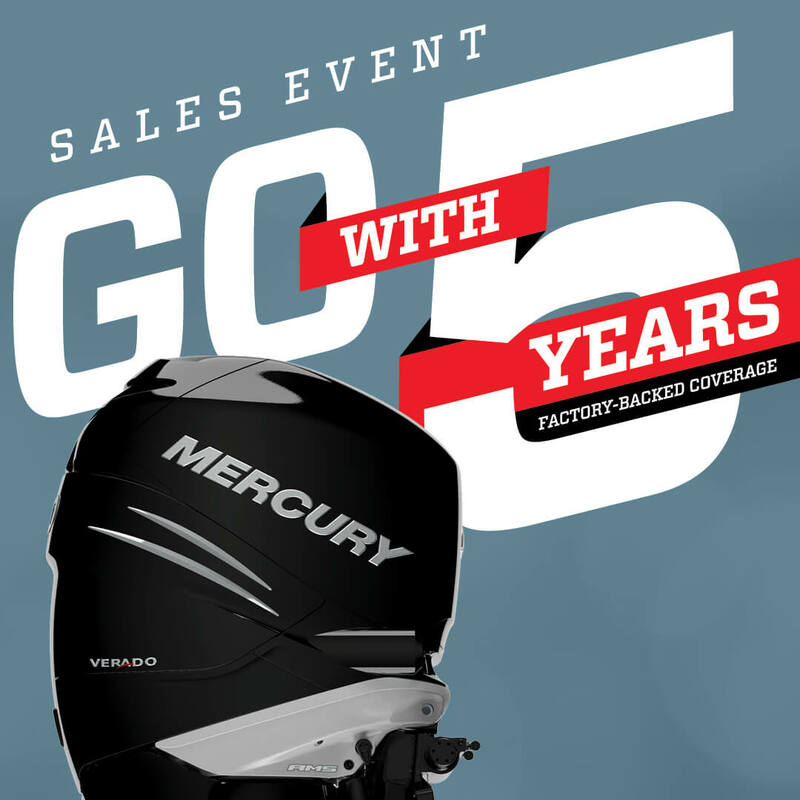 Purchase a new 2.5 – 350 hp Mercury Outboard now through March 31, 2019 and receive 2 additional years factory backed coverage for free. In addition to the standard three-year factory warranty, you will receive an additional 2 year Mercury Product Protection Gold Plan! Hurry in now before this special is gone. Motors included in this promotion are all 2.5 – 350 hp outboards including Verado, FourStroke, ProXS and OptiMax engines. 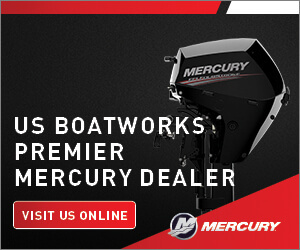 Check out our Mercury Outboards in stock and view all available outboards from Mercury. Motors not already on our showroom floor usually arrive from Mercury in 3 business days. If you want personalized help from our experienced team, call or come down and see us. We will get you the right motor the first time based on the anticipated usage information you give us. This help can save you a lot of frustration down the road. We hear countless stories from boaters who purchase their motors from the big stores and end up under powered. Take some extra time and use our knowledge before you buy. US Boatworks – a Mercury Premier Dealer that truly cares about getting you out on the water enjoying the lake with family and friends.